DataONE Webinar Series: Incentives, Challenges, Barriers: Exploring social, institutional and economic reasons for sharing data from DataONE on Vimeo. Crafting responsive tools for the sharing of data and knowledge requires understanding the people who will use them. In particular, exploring and studying how and why researchers perceive incentives, risks, and rewards for sharing research data may provide additional approaches and paths towards increasing openness. This webinar will be broadcast from SciDataCon during International Data Week in Denver, Colorado, and will feature panelists who plan to discuss their work in the areas of: data as social capital, giving researchers credit for data, and the results of a case study on perceived versus actual risks of data sharing. Jens Klump Jens Klump is a geochemist by training and Science Leader Earth Science Informatics in CSIRO Mineral Resources. Jens' field of research is data driven science. Research topics in this field are numerical methods in minerals exploration, virtual research environments, remotely operated instruments, high performance and cloud computing, and the development of system solutions for geoscience projects. 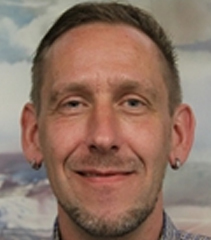 In his previous position at the German Research Centre for Geosciences in Potsdam he was involved in the development of the publication and citation of research data through Digital Object Identifiers. In years of working with different research communities, Jens encountered very different attitudes and practices around use and dissemination of research data. Follow him on Twitter at @snet_jklump. 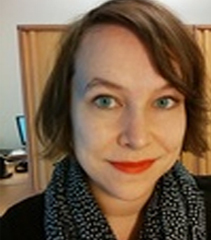 Heidi Laine Heidi is a doctoral student at the University of Helsinki Doctoral Programme in Political, Societal and Regional Change, working on a thesis dealing with the history of research integrity regulation from the early 1990’s to the current open science era. Her main methodological and theoretical influences come from social science history, social psychology of science and science & technology studies. Heidi is an open science advocate and coordinates the Open Knowledge Finland Open Science Working Group. The Open Citizen Science project, commissioned by the Finnish Ministry of Education, aims at mapping national stakeholders and infrastructures for citizen science, recognizing development opportunities and even catalyzing a national research agenda for “Citizen Science 2.0”. Heidi also has a background in science policy; in 2012 she founded her role as the Science Secretary of the Council of Finnish Academies what was to become the Finnish Committee for Research Data, a national liaison for CODATA, RDA and WDS. Fiona Murphy Fiona is a Publishing and Research Data Specialist at the University of Reading, and Project Manager for the Data2Paper Project. After completing a DPhil in English Literature, Fiona Murphy held a range of scholarly publishing roles. At the same time, she began to specialise in emerging scholarly communications with particular emphasis on Open Science and Open Data. 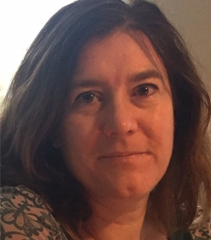 Fiona has written and presented extensively on the research innovations in scholarly communication, research data, publishing and business models. She is used to working with a range of fellow stakeholders, including learned societies, funders, data centres, universities and researchers and is a past and current member of several research projects including PREPARDE (peer review of research data), Data2Paper (a cloud-based app for automating the data article submission process) and a number of Research Data Alliance and Force11 Working Groups.